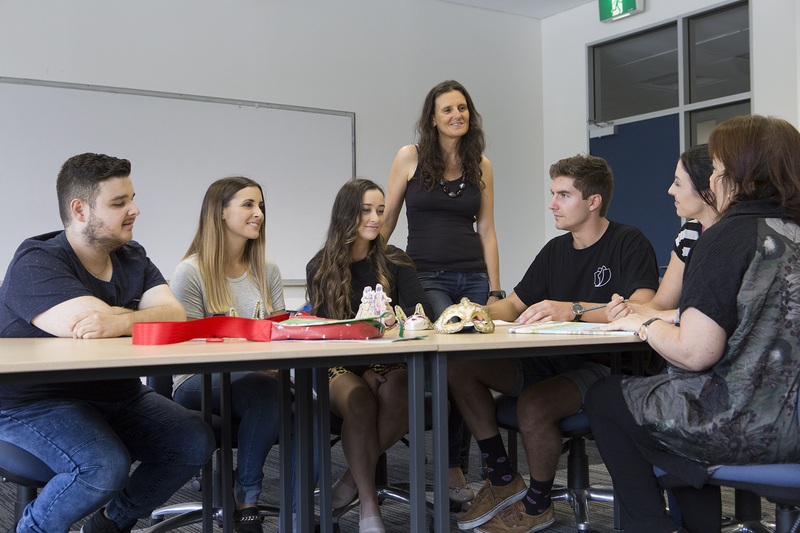 From 2020, the University of Wollongong (UOW) plans to discontinue Italian as a major in any degree, meaning that students will no longer be able to study Italian at an advanced level. “It is such a huge shame,” Mariolina Pais Marden, Lecturer in Italian and Convenor of the Italian Studies Program at UOW, said. “At the moment, Italian can be taken as a major, and studied in first, second and third year. “After the major has been suspended, Italian will only be on offer as a minor, meaning that it can only be studied in first and second year, and only to an intermediate level. The effect of these changes to the Italian program will be felt strongly by the Italian community. Students who have studied Italian in high school or who already have some speaking knowledge behind them will not have the chance to extend their skills, nor deepen their connection with Italian culture and community. “I believe the Italian Program at UOW has a very important function that goes beyond students completing of a major or a minor,” Pais Marden said. “Unfortunately the people who made this decision cannot see this. “A lot of people in the community have approached me after hearing of these changes, saying things like: ‘my grandchildren who already speak some Italian... will not be able to study it at an advanced level anymore’. “I think it’s even more of a shame not to offer Italian in third year because this is the year when students are the most motivated and passionate. Pais Marden said that high school teachers in the Illawarra region are upset about the news, because it will no longer be possible for UOW students to study to become Italian language high school teachers. To become a language teacher, a student must have majored in any subject to go on to complete a Masters of Teaching, with the intention of teaching that subject. A UOW spokesperson released a statement outlining the reasons behind the decision, stating that UOW regularly “reviews its course offerings in light of student demand, changing employment trends, employer expectations and other market factors”. “Each school and faculty must be responsive to student and market needs in order to remain financially sustainable,” the statement read. “Changes are currently being considered to Italian course offerings in the Bachelor of Arts due to declining student demand for the Italian major. “The Faculty of Law, Humanities and The Arts is considering retaining the Italian minor in the Bachelor of Arts, with first and second year subjects available, but discontinuing the Italian major. No other languages have been affected. With these changes, Italian enrolment levels are expected to decrease even more, as students make other study choices when they realise they cannot continue Italian as a major. “This is about more than the budget,” Pais Marden responded. Pais Marden is a distinguished teacher, and was recently awarded a 2018 Australian Award for University Teaching. She received a Citation for Outstanding Contribution to Student Learning. The Italian professor was the only person at UOW to be recognised on this national list. She and her colleague Giuliana Ferrari make up the Italian department at UOW.